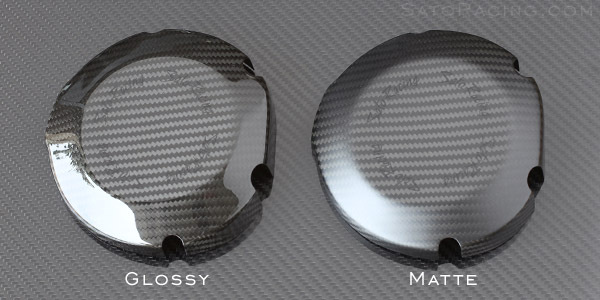 Autoclave-formed using the highest quality (Japan-sourced) aerospace-grade prepreg dry carbon available, SATO CARBON Engine Covers are super lightweight, yet rigid and very strong. 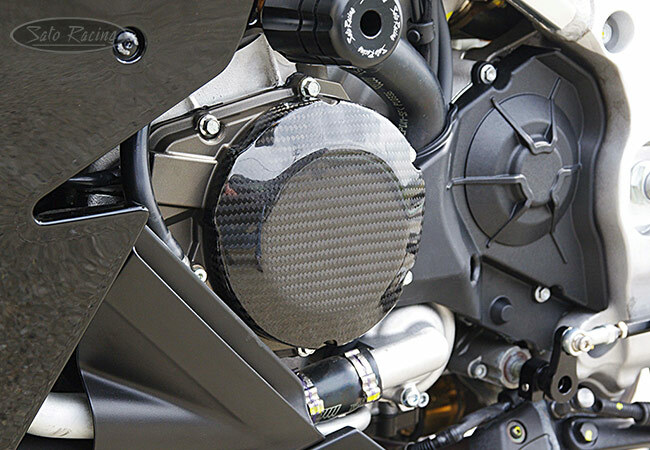 This [L]-side Engine Cover for RSV4 and V4 R feature a striking 'twill'-style weave pattern, with a subtle Sato Racing logo embedded under the finish. Choice of Glossy or Matte finish. Ultra-lightweight dry carbon. Place over stock cover.